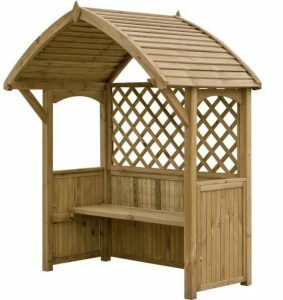 Not only a superb decorative item but also a wonderful feature for your garden, this BBQ arbour will allow you to enjoy many hours in the garden with friends and family. With a range of features that BBQ enthusiasts will no doubt enjoy, this would be a great addition to your garden furniture. Use for your BBQ or for you – this is a special product which houses your BBQ or doubles up as a seat! Now your BBQ can be a feature in your garden with this stunning piece. Constructed out of hard wearing and long lasting wood this is built to fit your BBQ nicely and adds something stylish to your outdoor space. It has a seat at the rear which lifts up to provide shelter for a barbecue up to 1.5m and the side panels raise to create useful tables (perfect for balancing plates and utensils). This product is home delivered and assembled for your convenience. 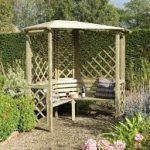 If you are a BBQ enthusiast enjoying many a day in the garden, this handy arbour provides a decorative shelter for your barbeque, keeping the elements and wildlife away from your food, utensils and plates. You’ll wonder what you ever did without this piece of equipment in your garden! This is a special product with a unique, multi-function design and as such, it has many features that you may not be aware of. 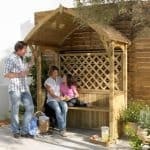 Below, the team at whatshed.co.uk take a look at this items many features and potential to be a great addition to your existing garden furniture. 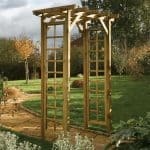 Frame: With a height of 2.16m the BBQ arbour will command attention within your garden whilst looking natural with its toned down timber effect. Perfect for family gatherings or barbeque parties alike, side panels fold down to create extra workspace for food, utensils or plates. 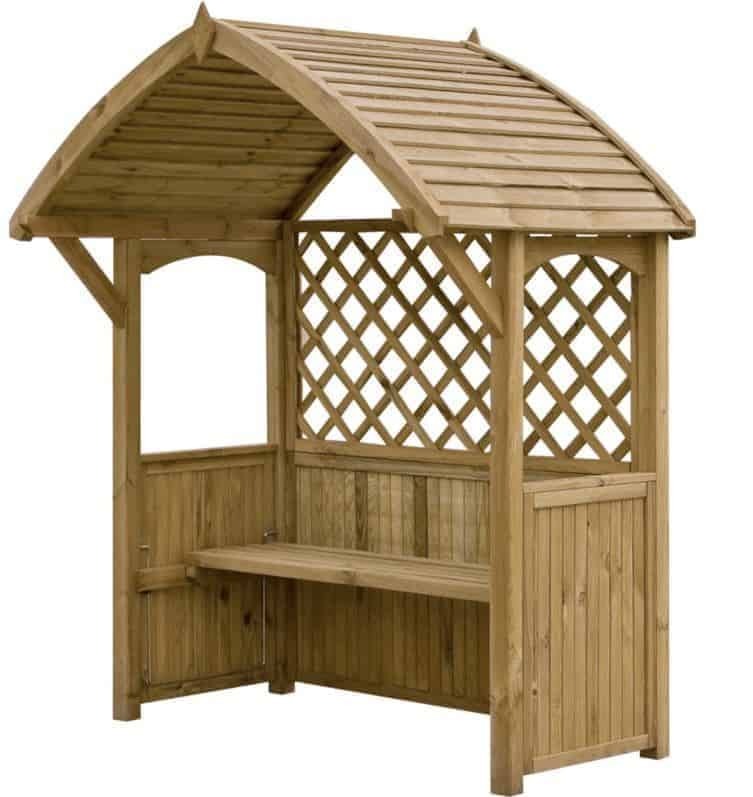 The hardwearing timber means that this BQ arbour will be hosting gatherings in your garden for many years to come. Seat: Although primarily designed for barbeques, Blooma has integrated a seat for two into the frame which can be folded down when the BBQ is not in use. 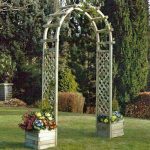 A fantastic idea as during the times when the BBQ is not in use, your arbour will still look attractive and have a practical use as a seat. 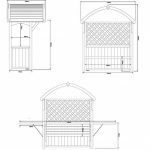 BBQ arbour: This BBQ arbour comes finished with a fire retardant treatment which means it can safely house a barbeque up to 1.5 metres wide. Whilst you won’t have complete protection from the rain and insects, the sheltered nature of the design means that you will be protected from the wind and other elements whilst you are barbequing your delicious food. 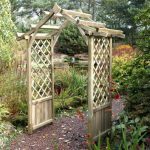 Blooma Barmouth Wooden BBQ Arbour: How easy to build? If you are a complete DIY novice and dread the idea of having to assemble such a large item within your garden then fear not as a complimentary assembly service is provided with this item. 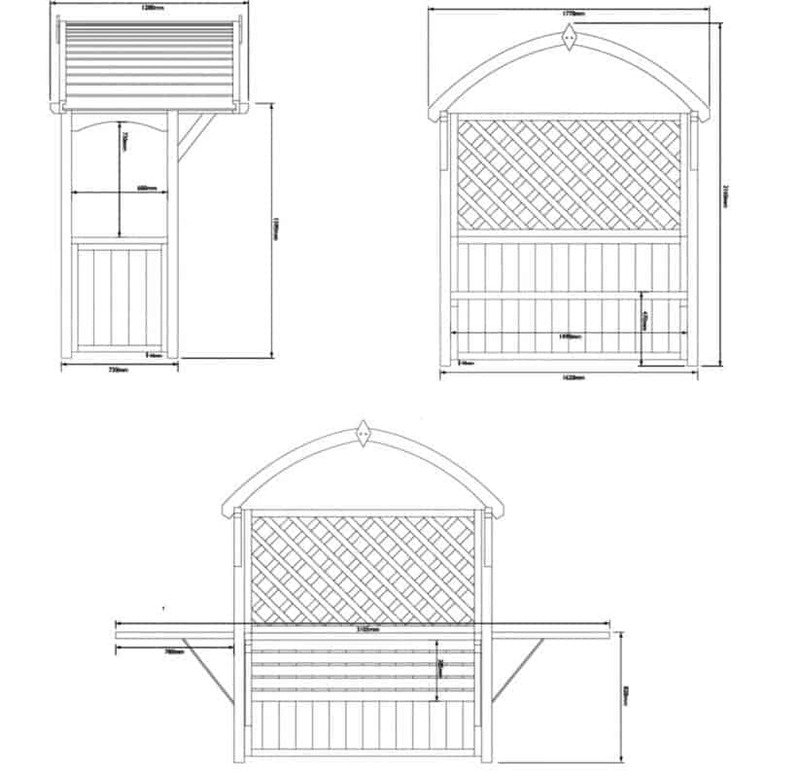 Your BBQ arbour will be delivered directly to your door and then assembled with ease by assembly experts. 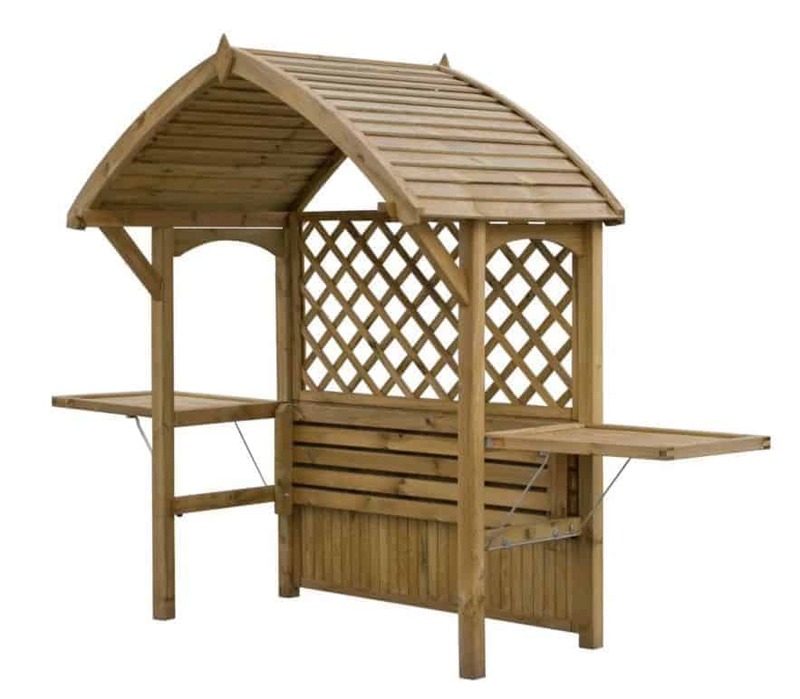 Sit back, relax and before you know it your BBQ arbour will be a fantastic new addition to your garden, ready to hold many barbeques for you and your family this summer. 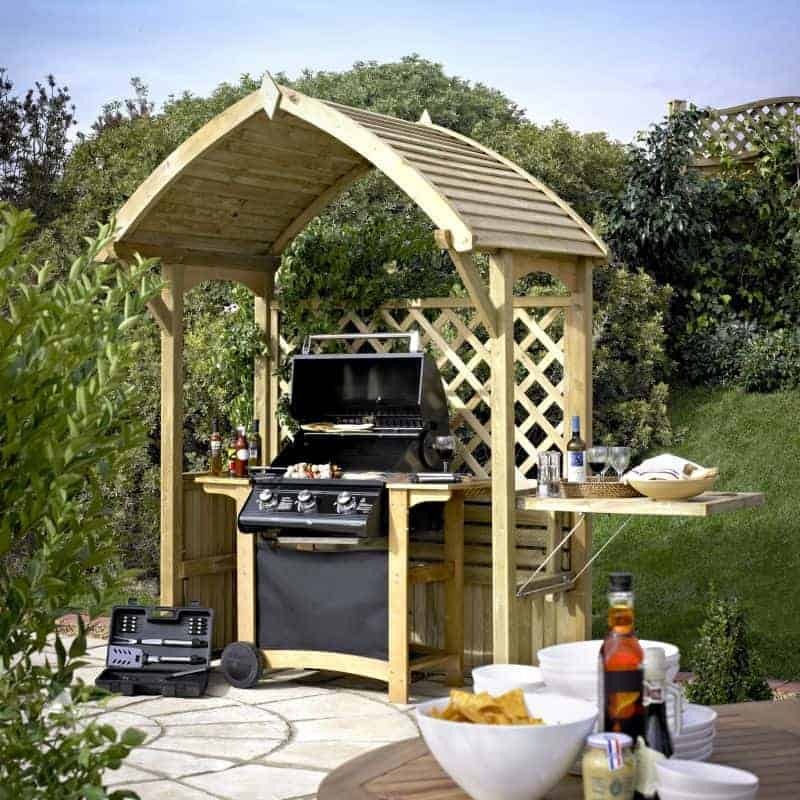 Blooma Barmouth Wooden BBQ Arbour: What is the overall quality like? 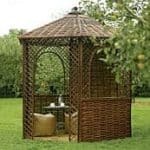 Blooma is a company that manufactures high quality garden furniture, accessories and sheds with unique designs that will command attention within the surroundings of your garden. 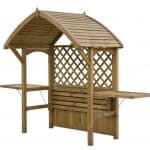 This particular item, a BBQ arbour combines a timber cladding and trellis design to create a solid structure in which to host barbeques or merely to sit and enjoy the view to your garden in a sheltered environment. Standing at 2.16 metres high and 1.77 metres wide, it will accommodate a BBQ or up to 1.5 metres wide. With a fire retardant treatment finish, you can be assured that you are barbequing within a safe structure that is fit for purpose. If your BBQ occasionally requires a clean, maybe after having a barbeque, then simply hose down with water to maintain its smart appearance within your garden. 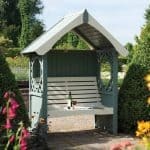 What a wonderful feature for your garden – not only practical for use as a BBQ shelter or seat to share but also a decorative design that is aesthetically pleasing whatever the weather. At this price point you are receiving not only a multi-purpose item but also delivery and expert assembly included. The arbour is finished so it can be painted if you so wish to match your current garden accessories and furniture. My family and I get together every summer to have a get-together. I have been searching for a bbq arbour for a while. A wooden one is one that I have been wanting for a long time. When I came across this wooden bbq armour, I just had to buy it. The size is small, but the more I thought about it, I only really needed it for my bbq. So in reality, the size is a little bigger than I expected for something like this. What attracted me even more than just the wood was the fact it is stylish and well constructed. When hosting a barbecue cook out, wouldn’t it be nice to do it in fashion? I thought so too. I talked my husband into buying this bbq arbour. He is always wanting to do all the cooking now out on the grill. He loves the arbour. He says he can tell it protects the grill to a certain extent. I am glad we got something he likes as I am the big shopper in the house, but now he doesn’t let me cook out on the grill. The quality is just amazing. We had it for a while, and it still remains looking and feeling new. I like the minimal protection this bbq arbour gives me. Of course, it won’t keep all the rain off or anything, but it does provide some security. When I have friends over for a barbecue, they are always giving my family and I compliments. They almost always ask where we got it from because they can see the true quality. I believe about 3-4 of my friends have ordered one themselves. My husband and I are constantly cooking out on the grill. I thought it would look great to have something like this for our grill to sit in. It makes our backyard look neater. We call it our “grill station”. We always grill our food as it is healthier, and I am glad I got something to that protects our grill in a way. 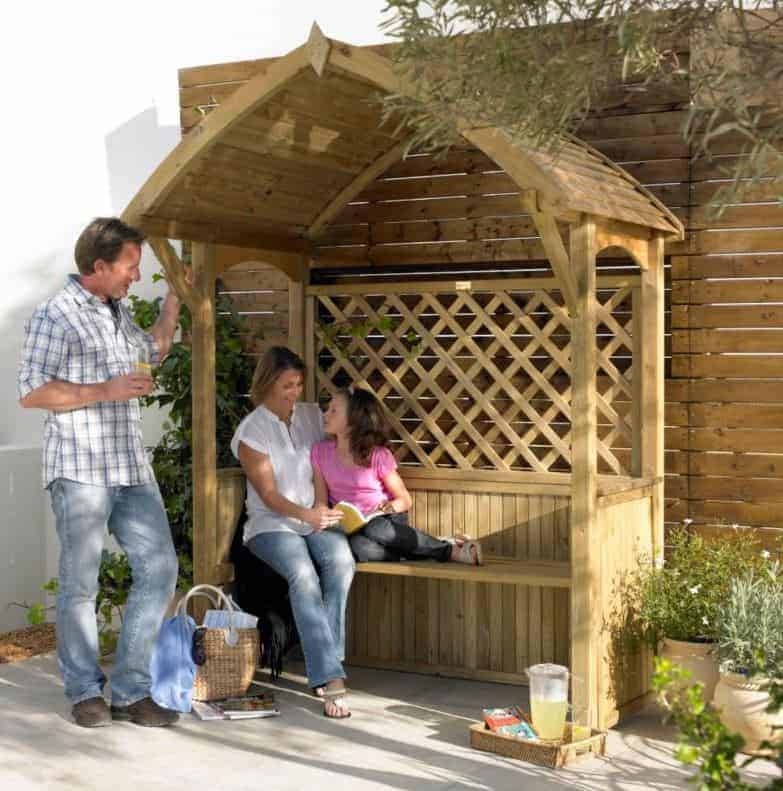 This wooden bbq arbour is a great way to dress up the backyard. My daughter’s graduation was coming up. Instead of ordering a bunch of food or having a caterer, my husband and I decided to just use our own grill. We came across this bbq arbour and knew it would be perfect for the graduation party. I loved the barmouth bbq arbour because of all that it offers. It offers a little space for my grill, as well as a stylish touch to the party. I couldn’t have ordered anything better. I didn’t really have to take a long time setting it up either.